Extra Curricular Activities - Tarmon N.S. We bring children from 1st - 6th classes swimming during the last term of school. This is part of the P.E Curriculum. Nikki Sheridan provides 6/7 'hip - hop' lessons for all the children annually. Mrs. White teaches the children ceili dancing, the last term for a half hour lesson, once a week. Again this is part of the P.E Curriculum. We also get other artists to deliver classes occasionally. Mr. Tom Lyons teaches musical instruments and singing to the children from 3rd class upwards. We have different coaches for soccer, football and hurling also visiting our school. We sow a school garden and children are invited to develop their gardening skills in our polytunnel. We now have a computer room in the school with a suite of 14 computers. Children will enjoy computer classes from September. The computer room also serves as a school library. We go on educational trips throughout the school year, especially the Senior Pupils and we all enjoy our school tour the last term. We produce a Christmas Concert bi-annually. 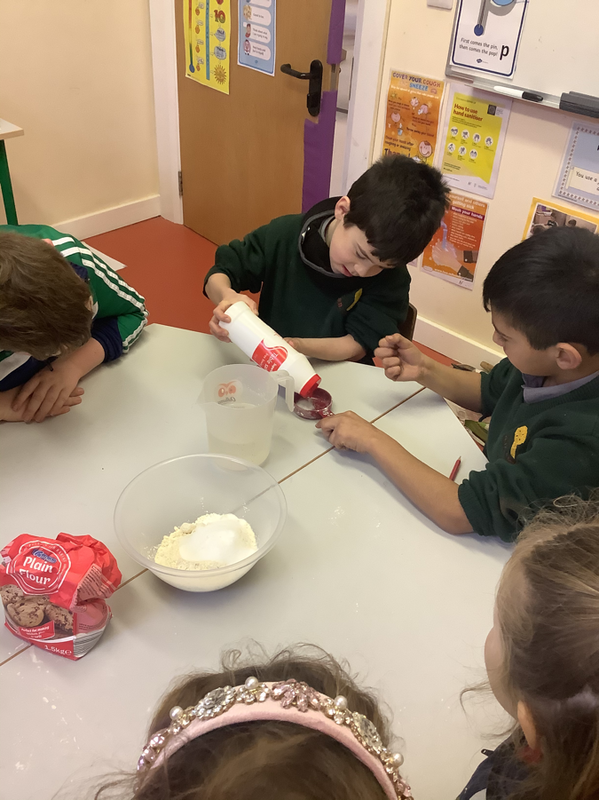 The children are encouraged to participate in quizes and a wide variety of sports including gaelic football, hurling, rugby, soccer, table tennis, basketball, cross country running, rounders, hockey and Community Games. We enjoy a healthy relationship with St. Michael’s school. During the year children from St. Michael’s school visit us and we visit them. This is a very worthwhile exercise for both schools. We normally have a Book Fair before the Halloween break. We dress up for Halloween. We make St. Bridget’s Crosses, pancakes etc in honour of the different Catholic Calendar Celebrations. There is usually a display in the front hall inkeeping with our Catholic Ethos. Ms. Bridgeen Regan (Catechist employed by the parish) visits the school for an hour each week. She helps out with the Communion and Confirmation Programmes and we participate in various activities during Catholic Schools Week. Canon Fitzgerald is a regular visitor to our school and plays an active part in the children's spiritual formation. We participate in the Discover Science Initiative, which promotes Junior Science activities in the classroom. We received a Science Excellence Award in 2009 and 2014. Senior pupils also participate in the Junior Entrepreneur Programme.